Auto-Accidents happen everyday.Finding the right place to answer your questions and care for your injuries can be a difficult task. 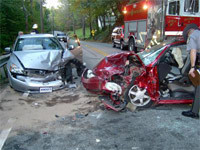 Injuries from Auto-Accidents can vary, and so can the therapies used to treat them.At Bode Chiropractic Accident & Wellness Center we are experienced in all areas of Auto-Accident rehabilitation and recovery.We are a Local doctor's office, not a large chain: so you can expect individual medical attention and care for your injuries. What Do I Do? 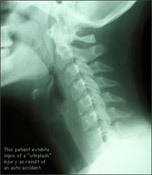 Questions about what to do?Most of us have no idea what to do after an accident.Bode Chiropractic is here to help.Our professionally trained staff will help answer all your questions concerning your injuries, getting your car fixed, filing your insurance claim, or even help finding an attorney if necessary. Injuries from accidents can be very painful.And left untreated for even a couple of weeks, the permanency of the injuries can begin to set in.Calling Bode Chiropractic today will greatly enhance your chances of preventing a debilitating and limiting disability. We take pride in guiding you through the entire process and helping you achieve full physical and financial restitution. What injuries do you treat? At Bode Chiropractic we treat the entire body, not just spinal injuries.By utilizing different types of therapies we are able to care for a wide range of injuries. Treatment for these problems and others has allowed Bode Chiropractic to become a respected leader in patient therapy and recovery. A bilingual staff including a Chiropractic Assistant, a Massage Therapist, and an Insurance /Billing expert help to make things as easy as possible for you our patient. We also offer extended hours and transportation if needed.We truly care for our patients and do our best to treat you with a Family Touch.If you have more questions about Auto-Accidents please give us a call immediately to talk to the doctor or schedule an appointment.